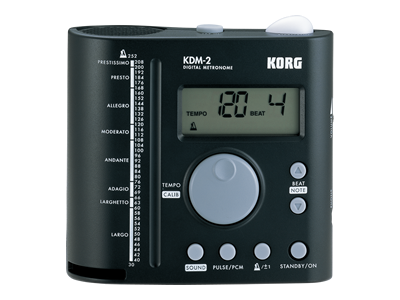 Korg Advances the Digital Metronome to a Whole New Level of Performance – The Korg KDM-2! Korg’s acclaimed cylindrical speaker has been further enhanced with an improved resonator structure to ensure that it’s easily heard. Even loud instruments won’t overpower its unmistakable, clear sound. 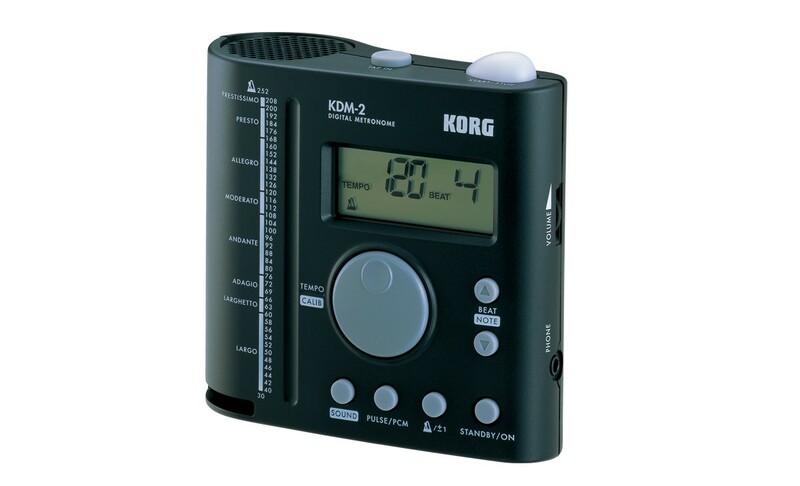 And with the KDM-2 you have a choice of 3 different PCM sounds (cowbell/agogo/clave) for the beat, so you can choose the sound that compliments the instrument you’re playing. The volume can also be adjusted to the most appropriate level. Since there’s a PHONE jack, you can connect a mini-plug (1/8″) earphone for private practice. The START/STOP switch located on the top panel blinks in two colors – red and green – for an unmistakable visual indication of the tempo. 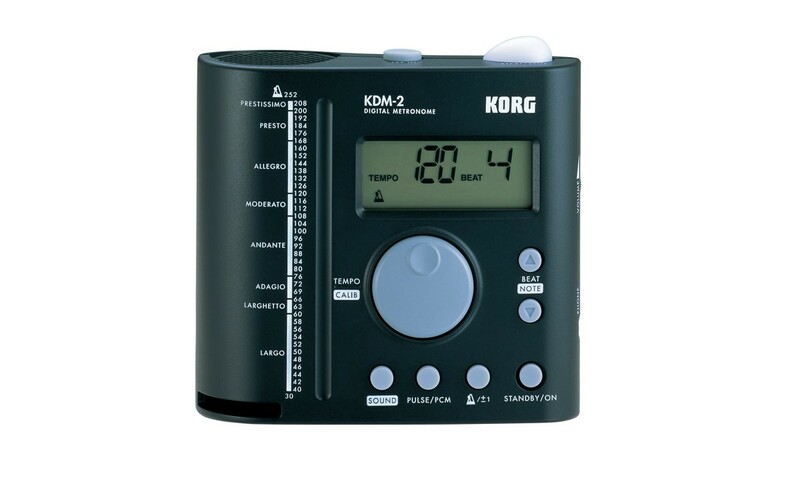 It’s a great feature if you want to practice with a silent metronome. The large LCD screen makes it easy to view the settings. An encoder-type TEMPO/CALIB dial and a Step Select switch provide quick and direct access to settings and functions. Featuring an original design that’s compact yet stable, the KDM-2 is at home on your desk, your piano, or anywhere else.